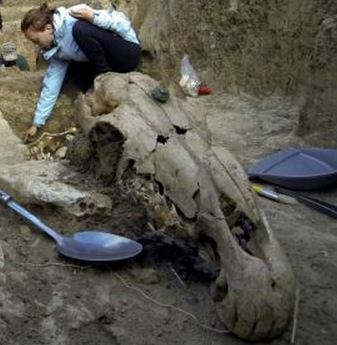 Carriage and horse skeletons were discovered in a Thracian tomb in the village of Svestari in Bulgaria. According to Sofia News Agency, the discovery of the carriage was unexpected as treasure hunters have plundered many of the ancient mounds found in the region in a bid to find gold, despite a UNESCO ban of this activity. 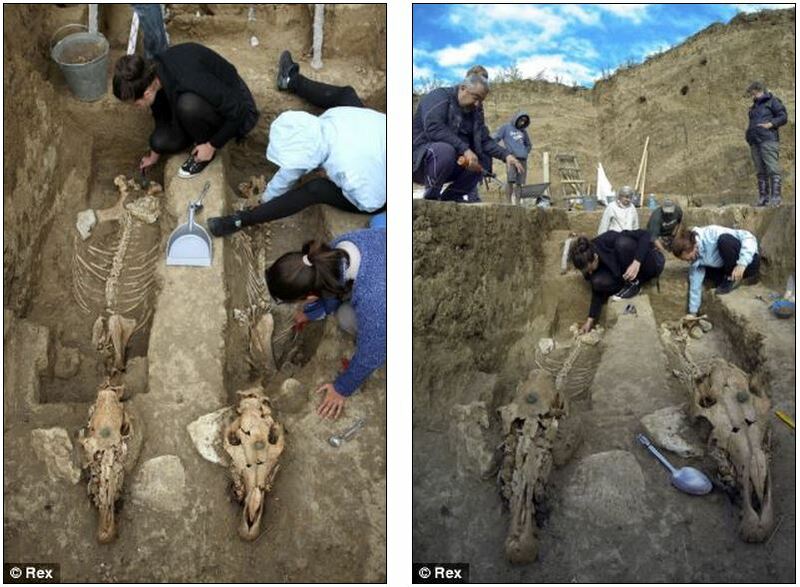 A Roman chariot complete with a seat and boot was unearthed along with two buried horses in the village of Borissvovo in Bulgaria in 2010, which shows similarities to the new find, despite being younger in age. It was thought to belong to Thracian nobility living in the second half of the 1st century AD, judging by the imported goods found in nearby graves. The burial mount yielded seven burial structures and two pits, one of which held the carriage and horses, HorseTalk revealed. Could this little Drone be used in someway to help our Mustangs??? ?